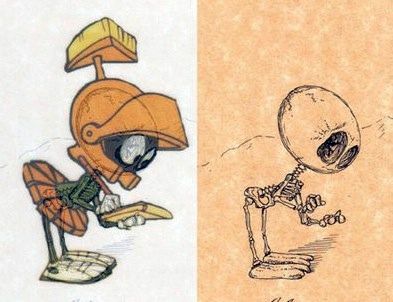 Ever Wonder how Marvin the Martian’s skeleton looks? Like many a lady of a certain age, Tiki feels the cold these days. 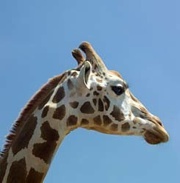 So workers at the Oakland Zoo are having a custom-fit coat made to keep the giraffe cozy this winter. At age 18, venerable for giraffes, Tiki is subject to the vicissitudes of age. She already gets regular visits from a chiropractor, a masseuse and an acupuncturist. Hop to it, troops! Get those wallabies out of there! A mob of wallabies has grounded RAAF [Royal Australian Air Force] fighter-bomber jets after dark at a Northern Territory airfield. And medical rescue planes have been moved to another airstrip after being unable to take off at night. The Northern Territory News understands the problem started when a fence was built around the military-controlled Tindal airport at Katherine. The fence was designed to keep the agile wallabies out – but actually fenced many of them in. February 2, 2008 Posted by oldstersview | animals	| Comments Off on Hop to it, troops! Get those wallabies out of there! Oops! You mean you aren’t dead? A man has discovered his own grave – including a headstone awaiting his death – while visiting a cemetery. After being given six months to live, 71-year-old British man Andy Lees paid a funeral company for a grave and a headstone – but did not expect the gravestone to be erected until after his death, the BBC reported. Mr Lees told the broadcaster that he was “shocked” when friends began calling him to see if he was still alive after seeing the headstone at a cemetery in Blackburn, in England’s north west. The father-of-four said he wanted to have his grave paid for before his death, but this was too much. 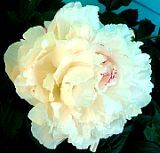 February 2, 2008 Posted by oldstersview | Dumb Stuff	| Comments Off on Oops! You mean you aren’t dead? The [Australian] motorcyclist who was photographed riding on the Eastern Freeway with a barbecue strapped to his body has admitted it wasn’t a bright idea. 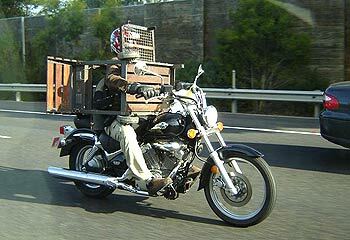 And “Stuart” is also having second thoughts about an earlier incident when he hauled a two-seater couch on his motorbike. Stuart, 27, who didn’t want his real name revealed, was ridiculed when the Herald Sun published a photo yesterday of his barbecue escapade. Wonder if it comes in a fifty-five gallon drum? Costco Wholesale Corp. has applied to sell its own brand of beer, according to Bloomberg News. The Kirkland Signature label applications for pale ale, amber ale, hefeweizen and a lager were approved last week by the Alcohol and Tobacco Tax and Trade Bureau. Bloomberg reported Costco already offers Kirkland Signature wines and is one of the top sellers of wine in the U.S.